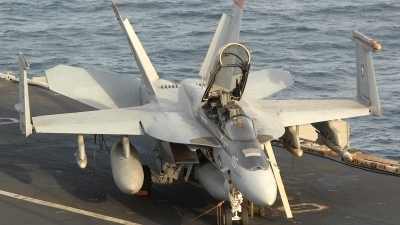 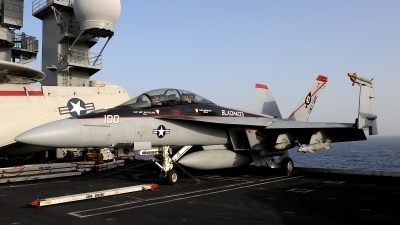 Another Tomcat that did not make history during OPERATION ENDURING FREEDOM. 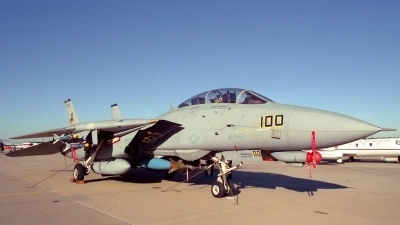 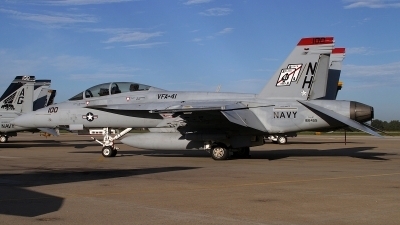 This Tomcat was delivered to AMARC on 28 March 2006. 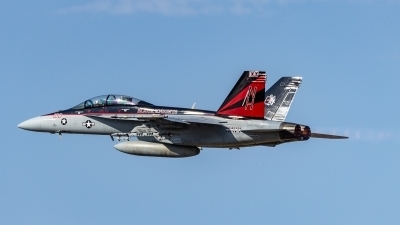 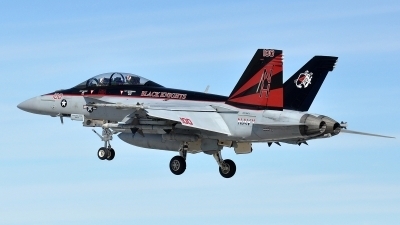 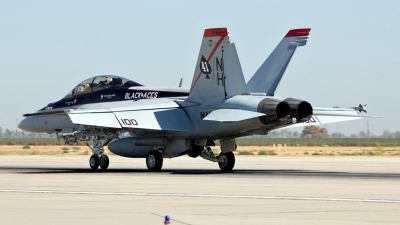 VFA-41 "Black Aces" color bird rolling out on Runway 32R at Lemoore. 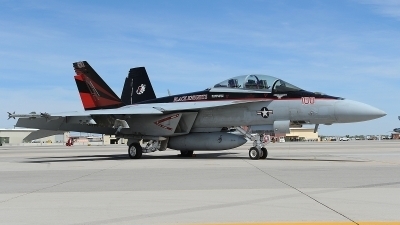 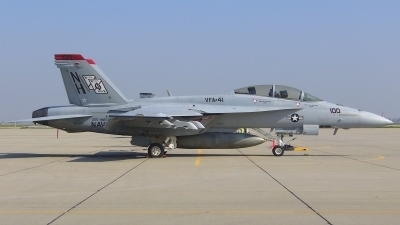 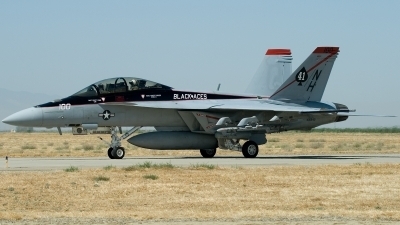 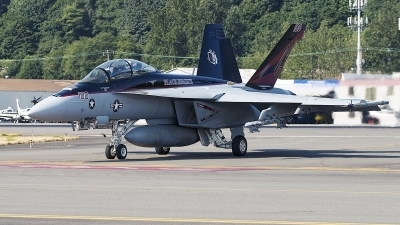 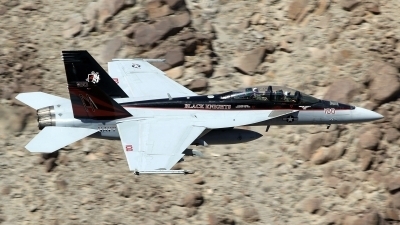 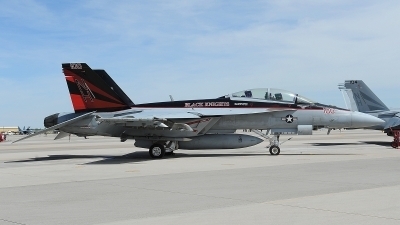 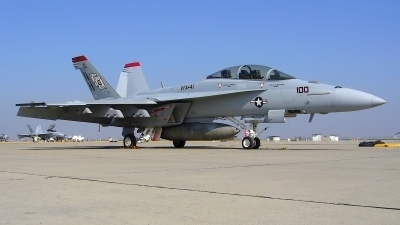 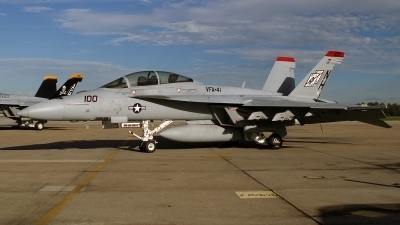 VFA-41 "Black Aces", NAS Lemoore, California. 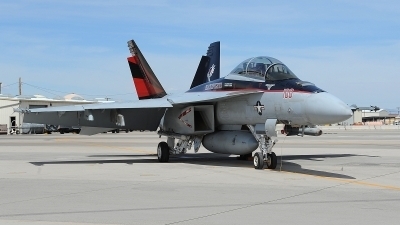 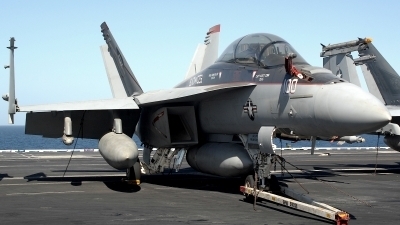 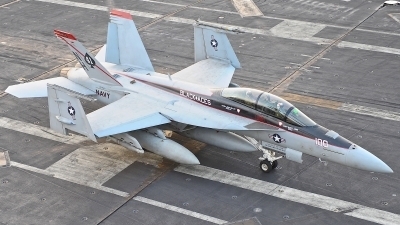 Boeing F/A-18E Super Hornet taxis back to the ramp at NLC after another sortie from home station. 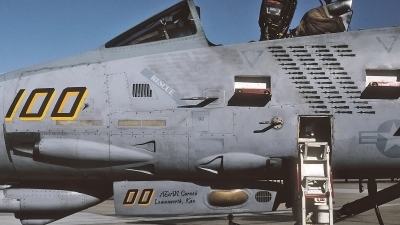 Known as VF-41 and flying F-14A Tomcats at the time, they shot down two Libyan Sukhoi Su-22s on 19 August 1981. 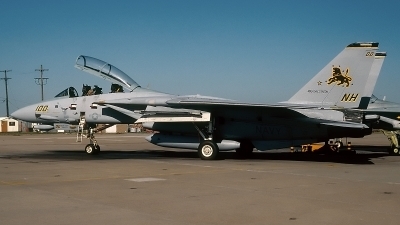 NAS Oceana Airshow 1999 - Grimmi was happy to see Tomcats at least ! 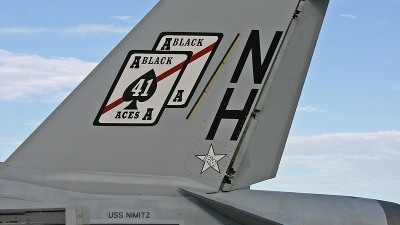 This a/c is already on nearly a dozen pictures @ AF - nearly every one shows another scheme/number !